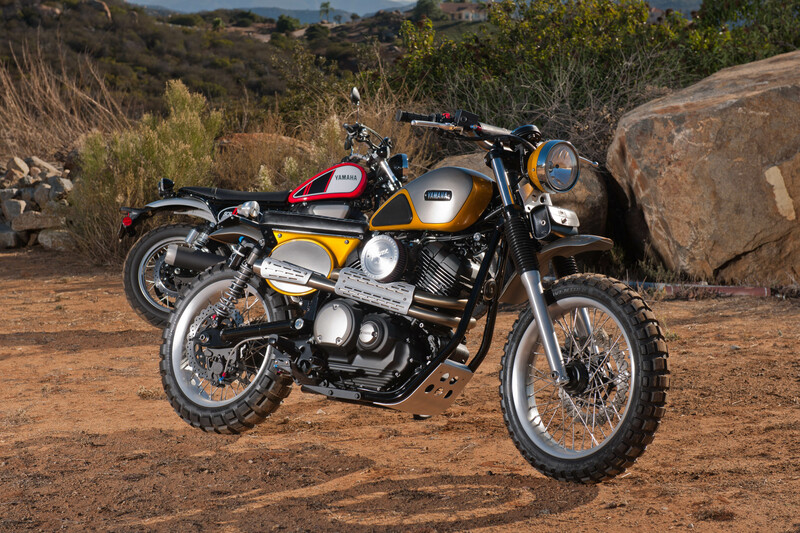 Yamaha is set to continue its Yard Built programme in 2017 and will once again team up with established and emerging talent in the custom bike scene to create some seriously mouth-watering one-offs. 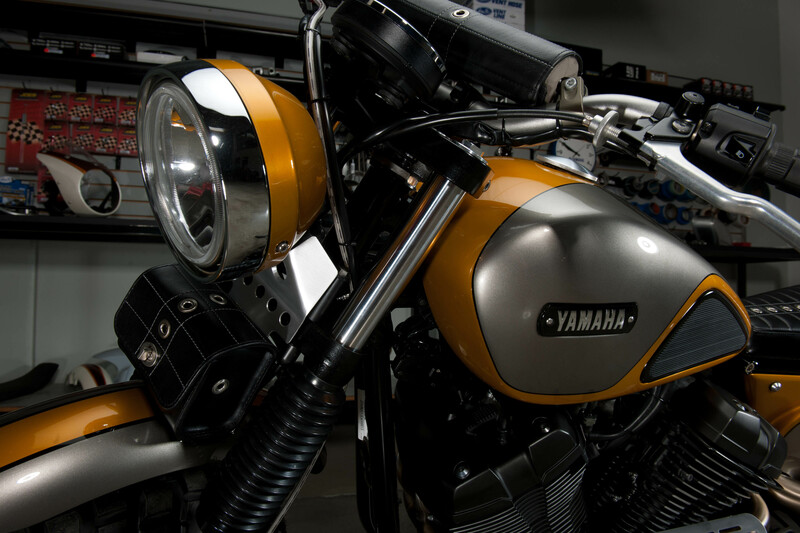 To kick off the year, Yamaha has ventured to the US of A to collaborate with Southern California-based builder Jeff Palhegyi and the team from Jeff Palhegyi Design. The chosen subject is the Japanese marque’s latest SCR950 – a bike that is as happy cruising barren beaches as it is tackling rocky ridges and challenging off-road terrain. “After seeing the SCR950 for the first time, I knew that it would be a really cool bike to customise,” explains Palhegyi, a prolific builder who works with everything from boulevard-cruising choppers to the latest sports bikes. 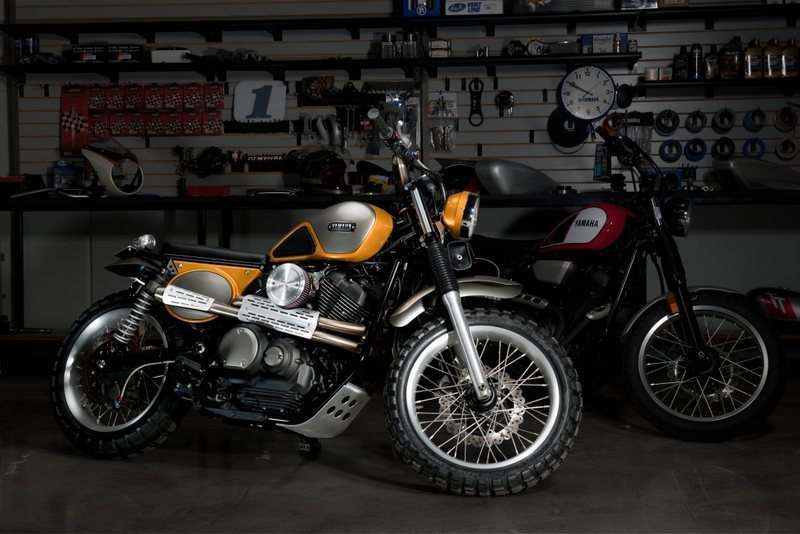 The ‘something really different’ involved drawing inspiration from a glorious 1966 YDS3C Big Bear Scrambler, one of the marque’s original ‘do-it-all’ bikes. 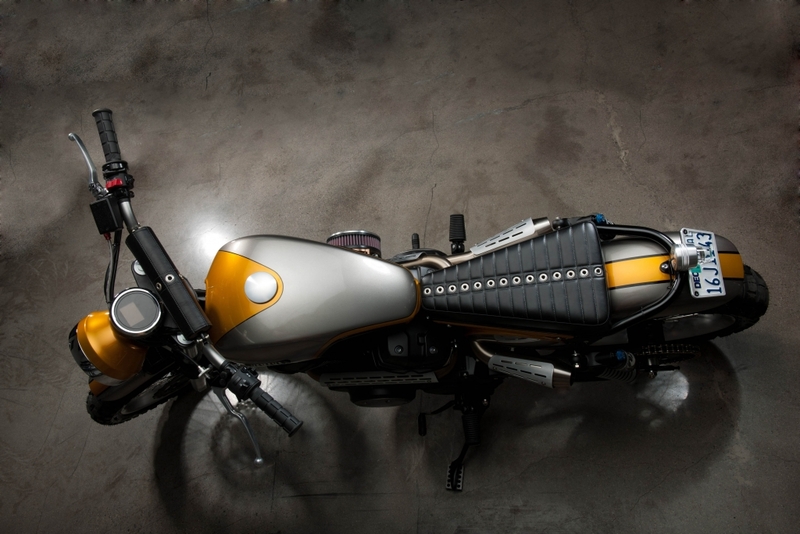 Clear nods to the original can be seen on Palhegyi’s modern custom, including an inlaid Yamaha logo and rubber knee grips on the fuel tank, two-tone paint and a custom exhaust system with heat shields that are rarely seen on modern machines. However, as this is a truly current ride, the Yard Built SCR950 boasts Renthal handlebars, which are wrapped in Duane Ballard Custom Leather that matches the seat and front fork tool pouch. There’s also a shortened swingarm, suspended by Fox RC1 Podium 14-inch performance rear shocks, chunky Shinko Adventure Trail tyres mounted on Ride Wright 40-spoke aluminium soft lip wheels and a neat custom aluminium cover for the K&N air filter. Of course, this is merely a concept that will be shown at various bike vents throughout the year, but we’re sure Jeff will happily build you one if you ask nicely.